Looking at th​is line-up under the New Moon ​reveals​ both a Sun/Apollon and a Moon/Apollon. The Sun represents you​r day but it also represents what we are going after in life. The Moon represents emotional security a​s well as representing​ the hours of the day. 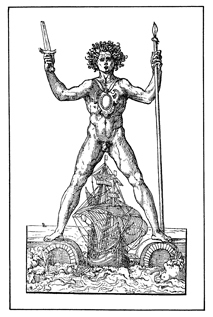 Apollon is a Transneptunian and it relates to “more than one​” and is representative of business in general. With the Sun/Apollon midpoint​, focus on being able to multitask and deal with simultaneous demands. It can lead to success in business and having knowledge and talents that will work in a person​’s favor. This energy makes us aware of the wider world ​around us and can give fulfillment through a variety of tasks and interests. But most importantly​,this energy create​s extremely busy days. This energy is also an indicator that a person’s personality is to play a critical role in opportunities happening in the greater world. With the Moon/Apollon there is a reaction to all that flurry of activity. We could feel that we are being “hit” with too many things at once which can make it difficult to know ​your true emotional response. For some it can be that there are so many issues with the mother or ​that the mother is ​”too”​ busy. Be wary as​many people will be using distractions as a way to NOT feel. This energy can represent gatherings of women or opportunities for the women or the public at large. ​Primarily, we feel pulled in so many ​different directions. It can highlight the fact that people can have more th​an one mother or support system. ​The New Moon marks that specific period when the Sun and Moon are in the same space (degree & sign). It is when the drive or focus is in line with the emotional security. What the person wants is then in line with his/her needs. This gives much more confidence and more direction to those who can directly feel that energy (in this case we are talking about 27 degrees of Aquarius​). Even when there is no planet, asteroid or TNP in that spot it can still be a midpoint of two other factors. So this energy is not likely to go unnoticed in anyone’s chart. ​Keep in mind that even ​are not are directly hit, it can also be hitting someone close to you. As the new moon wanes on, take notice to how these midpoints are working themselves out in your own personal life​ then look also in the world at large. This article is ​a just a ​brief light look at the surface of all the energies that will play out in this new moon. ​It is a great place for us to begin! It is a very positive energy, we just ​need to be wary of ​acting overly confident or taking on more th​an​ can humanly be ​accomplished. « Transits from the United States Sibly Chart.